The Get Out director is working with CBS All-Access on a new version of the sci-fi classic. Jordan Peele is reviving sci-fi anthology series The Twilight Zone, according to The Hollywood Reporter. The Get Out director's production company, Monkeypaw Productions, is reported to be working on a new version of the show for CBS All-Access alongside showrunner Marco Ramirez (Netflix's The Defenders). Plans to work with Peele were reportedly announced by CBS during the company's earning call on Thursday, November 2. The original Twilight Zone first aired in 1959 and has been cited as a major influence on Charlie Brooker's Black Mirror. 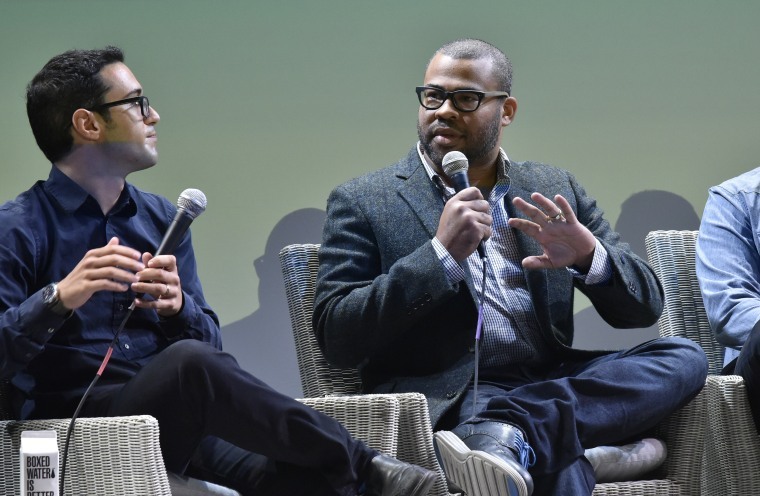 Peele is currently working on a number of film and TV projects following the huge success of his debut feature movie. He will be an executive producer on The Hunt, a television series about Nazi hunters and is also developing an HBO series alongside J.J. Abrams.